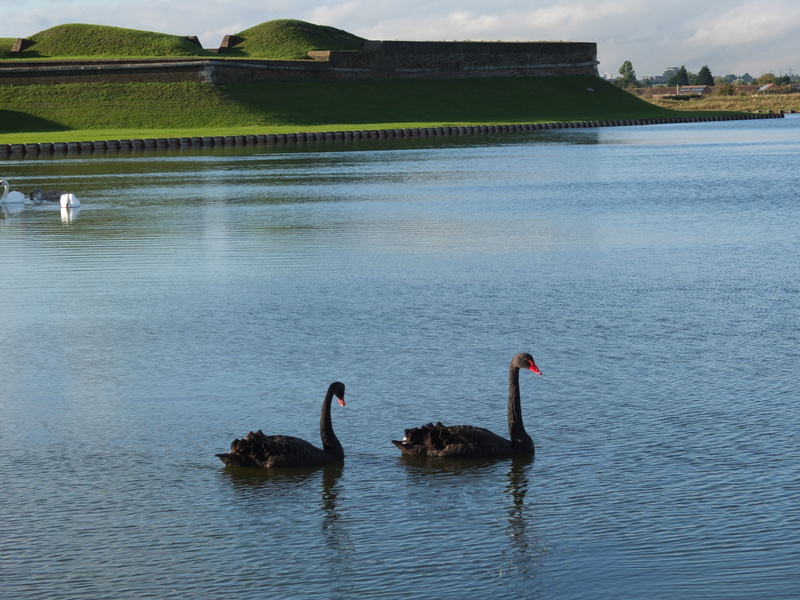 This stunning photo was taken recently by Kevin Diver at Tilbury Fort. 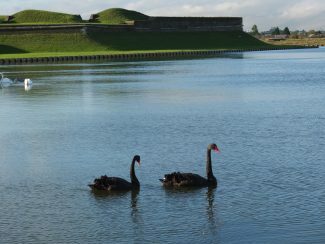 What a beautiful pair of black swans. Thank you Kevin for sharing this photo with the memories site. I can’t believe that Tilbury Fort has been closed to public access as Rod has suggested. I spent my childhood in and around Tilbury Fort, playing there, bird-watching, run-outs at night, all sorts of stuff. A bunch of us even made a little bridge across one of the outer moats at one point using drift wood found along the river. On the subject of birds, In the winter there’s loads of interesting birds to see in this area including Red Breasted Mergansers, Goosanders, Grebes, Herons, Kingfishers and more. Lapwings and Ring Necked Plovers used to breed there as well. In the 1960’s they used to have sailing boats and rowing boats too, that you could hire, my Dad said that they were all vandalised by Teddy Boys and were never reintroduced. I remember too in the late 1970’s the area was covered in big well established Hawthorn bushes that were roosting places for birds in the winter and then for no clear reason they were all cut down making the are look bleak and open. God knows why that happened it was a pretty nice looking part of the area with good bio-diversity. Great picture Kevin. But how on earth did you get in there round the fort. It is all blocked off. It should be opened up again, like it always was. Let the public walk around there again. Shame on them.